Do you have a child beginning to learn to read and write? Need some help at homework time? Learning to write is a huge milestone for children, and not all children learn at the same pace. That is a fact. I’ve seen children whiz through the process of reading and writing. Others, I have witnessed, struggle with letters such as b, d, and E, as well as numbers, 2, 5, 9, and 6 (which is very common for a kindergartner). If you find yourself in this predicament, don’t worry too much yet. Just remember that with patience, a steady routine, good study habits, and lots of practice, it will get better. Today’s SB find is the perfect tool for this task. Smart Play Magic Alphabet & Magic Numbers 3D lenticular flash cards are a wonderful tool for children who are in the process of learning to read and write. The best part about these is that they are in three languages! English, Spanish, and French. Since we received them, we have referred back to them as a practice/reference guide almost everyday when my daughter (now in kindergarten) is doing her homework. She loves them! When tilting one of the cards, you see the images magically transform between the uppercase, lowercase, and word image (or number). On the other side is a wipe-off writing surface where you can practice tracing and writing with a dry-erase marker (marker not included). They are made of a layered laminate wipe-off material, light weight, and durable enough for a child to carry around the house or even in their backpack. 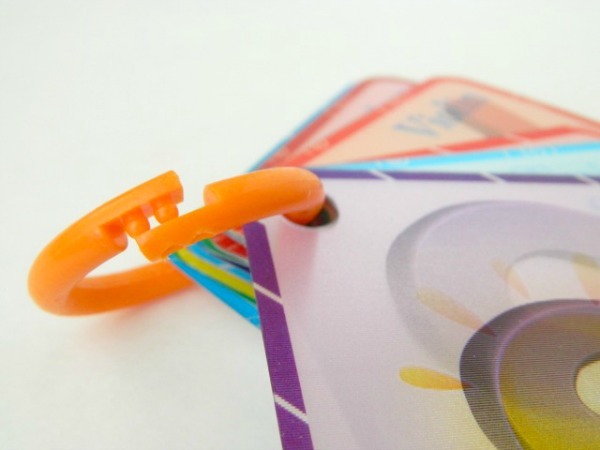 The ring that holds the flashcards together is made of a solid flexible plastic that is easy for older children and adults to open and close again if needed. On a side note, we own a different set of alphabet cards (in English only) with a metal ring that is too easy to open and can pinch a child’s little fingers when doing so. Sometimes it opens up all on its own in fact, so I was relieved to know we wouldn’t have that problem with these flash cards. Having the flash cards on a plastic re-closable ring was a huge benefit to us because it also allows for sharing with other children at the same time! The Bilingual Smart Play Magic Flash Cards measure 3.5″ x 4.0″, and are available in opposites and animal themes as well. 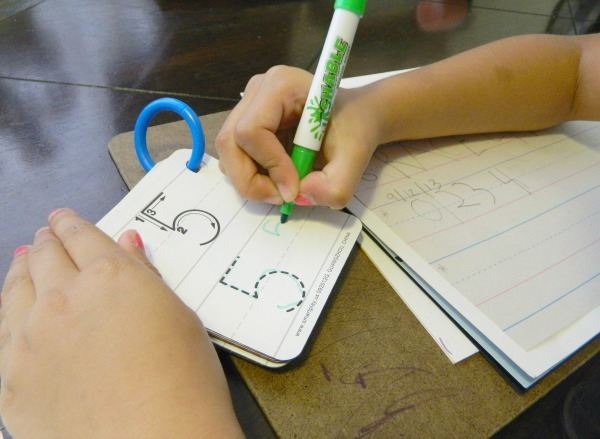 All in all, these make a perfect gift to any child learning to read and write! Especially if they are learning Spanish like mine! 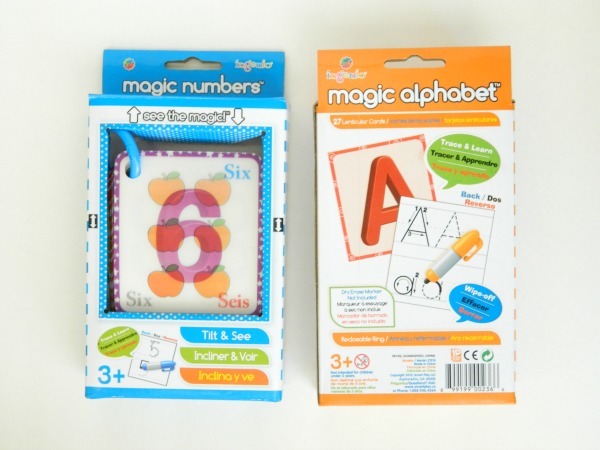 We are giving away the Magic Alphabet and Magic Numbers flashcards to one lucky winner. Just leave us a comment telling us who you’d like to share this giveaway with and enter the Rafflecopter below. I’d like to share this giveaway with my goddaughter. I would love this for my preschooler. I am an email subscriber. 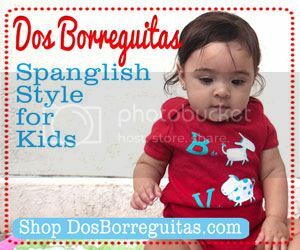 this would be perfect for us as now that my oldest is in pre-k he’ll start learning writing numbers and letters soon and this would reinforce learning them in spanish. and i’d love getting a head start with my youngest teaching him to recognize the letters and numbers! 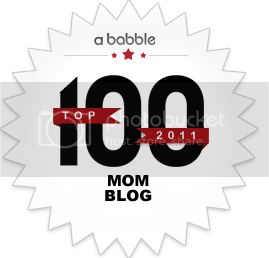 I’d love to win this for my three sons! Perfect for my first grader! so cool — love subscribing here! These are so cool! I’ve thought about making my own cards and laminating them to use with my son and other friends, so it would be great to share these cards with them. I subscribe to Spanglish Baby! oops… she’s 4 now (see above). Would love this product for my 3yr old son! This is perfect timing! We are just starting homeschool preschool and my 4 year old is learnig everything in English and Spanish. In the meantime, I am studying French so I can be a few steps ahead of her- when she starts reading, I will start teaching her French’! I hope we win!! I living in Scotland. 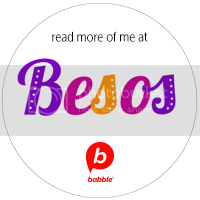 We speak Spanish at home and teaching them some French do this tool is ideal for them! I’d love to win this for my son. I’m already a subscriber. I want to win this for my kids who need more practice writing their numbers. They tend to write them illegible and backwards. Who Is The Kid Heat?